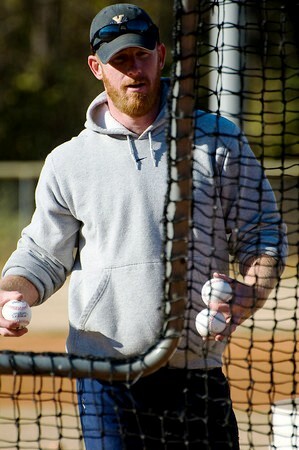 Bill Melvin's baseball camps are designed to teach and improve the baseball skills for kids ages 4 to 12. Bill mixes baseball fundamentals with some life lessons and games and fun. Participants work on a variety of skills including fielding, batting, pitching, base-running, and much more in a safe and fun environment. Coach Melvin employs a number of local baseball standouts as camp counselors to ensure that each camper will enjoy his share of personal instruction and attention. 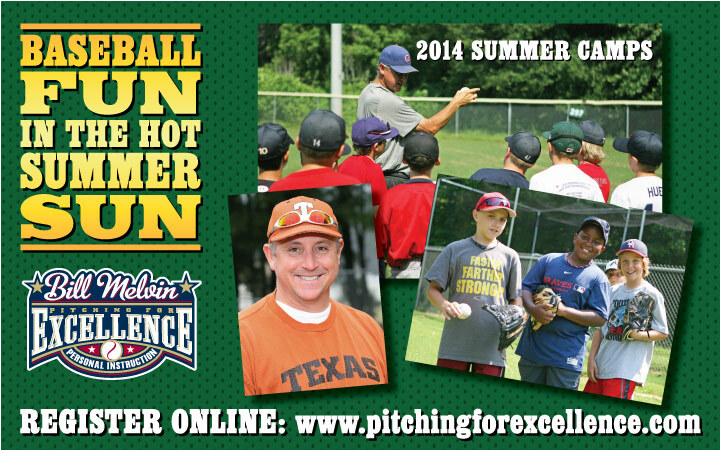 DHYS Baseball will host Bill Melvin's camp at Medlock Park from June 9-13, 2014 and June 16-20, 2014 for ages 4-12. Cost of enrollment is $225. Click HERE to register for the June 9 - 13 Camp! Click HERE to register for the June 16 - 20 Camp! 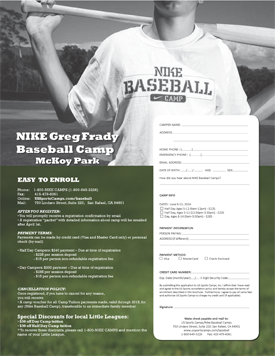 email Coach Melvin at , or call Bill at 404.213.3913. He has put together age appropriate tips and skill drills to use with your players. All Players ages 11 (advanced 11's only) to 15 years-old are welcome to attend! *Parents may drop off as early as 8:45am and must pick up no later than 1:00pm. Post-camp lesson slots are available by appointment. All campers should bring a water bottle and a snack or lunch. Snacks and lunch will not be provided by the camp. 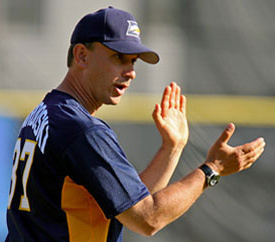 Ben Johnstone will be conducting his annual Top Tier Baseball Summer Advanced Development Camps the weeks of June 2nd-6th from 9am-1pm, June 23rd-27th from 9am-1pm, and July 7th-11th from 9am-1pm at Medlock Park. At these hard work camps players will work on developing college and professional level skills in the areas of Hitting, Fielding, Pitching, Catching, Base Running/Stealing, and Team Fundamentals. Players will leave these camps clearly understanding what is expected of young players at the high school, college, and professional levels, and each player will feel more prepared to work toward their goals of making higher level teams in the years to come. THESE ARE THE MOST ADVANCED CAMPS IN THE ATLANTA AREA. Former campers are on varsity teams at many of the local high schools, and several are now playing in college or have finished their college careers. These camps are part of Ben's Top Tier Baseball Instructional Program that includes year-round lessons at Medlock Park as well as clinics for players, parents, coaches, and teams. 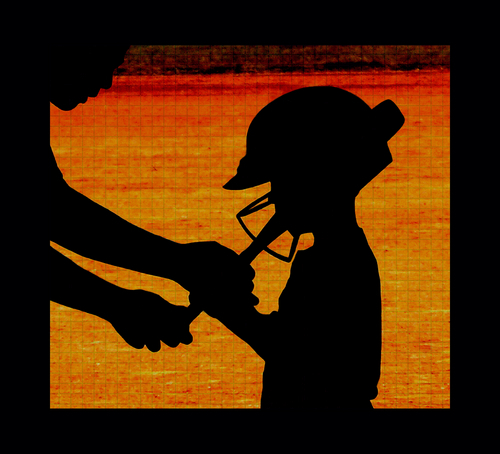 Through Top Tier Baseball Ben works to promote the ideals of scholar-athleticism and strives to contribute to the positive confidence-building experiences of children, teens, and families in the community of youth sports. For more information please visit www.toptierbaseball.com .